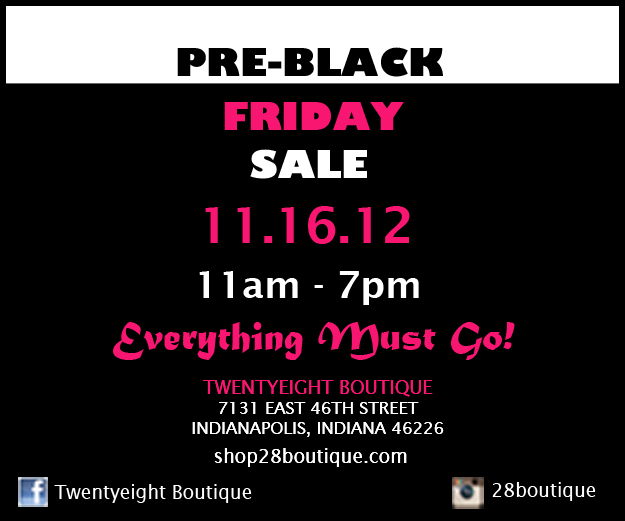 This week the Twentyeight Boutique EXCLUSIVE is their Pre-Black Friday Sale, this Friday from 11am - 7pm! This sale will include everything new and everything that is remaining in inventory and the prices are going to be FAB-U-LOUS!!! 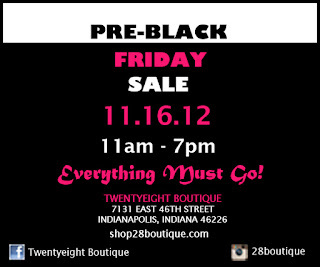 EVERYTHING MUST GO is Twentyeight Boutique's motto for this Black Friday sale! So you may want to arrive early, to get the best deals on the best pieces! Good Luck! !